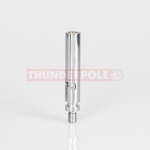 An adaptor that fits between the antenna and mount and allows you to adjust the angle of your antenna up to 90 degrees. 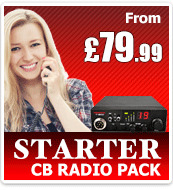 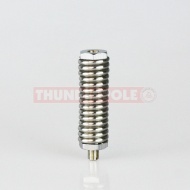 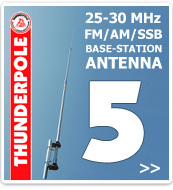 A spring that fits between the antenna and mount and gives much more flexibility. 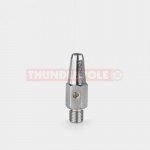 A radial kit to attach to any 3/8" antenna to improve the radiation pattern. 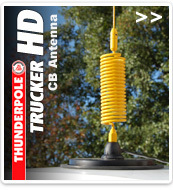 Fits between antenna and mount. 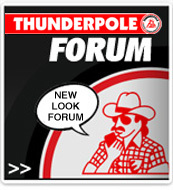 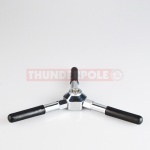 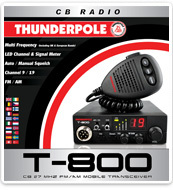 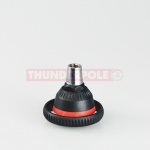 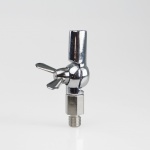 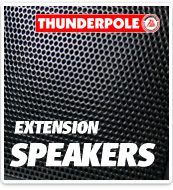 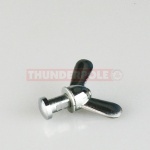 The Thunderpole 3/8" Wingnut Swivel Adaptor is an adaptor that allows 180° adjustment to a 3/8" antenna. 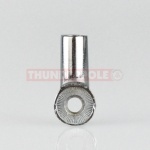 Adaptor for attaching a standard 3/8" thread antenna onto a DV type base mount. 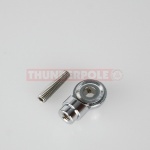 Used to attach DV fittings together, i.e. 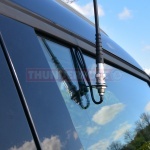 DV antennas to a DV mount. 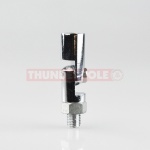 This 3/8" Stud mount is designed to be attached through a hole in a metal bracket, i.e. 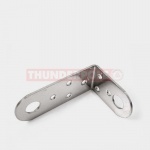 through a gutter or mirror bracket. 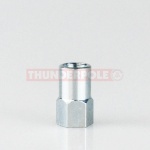 This adaptor will allow you to mount a standard 3/8" antenna onto the stud (male) commonly found on the roof of Volvo and Scania trucks. 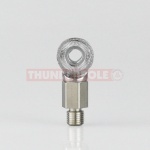 A 25mm adapter to convert M7 female stud to M6 male. 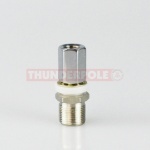 An adaptor that allows you to use a 3/8" antenna on an SO239 mount.